GALVESTON, Texas (CN) – A whistleblower who told authorities three oil drilling companies dumped chemicals in the Gulf of Mexico claims a federal prosecutor ignored his evidence, costing the United States $28 million in fines. Evan Howington sued the United States on May 4 in Federal Court. The Act to Prevent Pollution from Ships encourages whistleblowers to speak out, but they need the cooperation of federal prosecutors to collect any reward. Whistleblowers can be paid up to 50 percent of penalties the government gets from a polluting ship operator under the law, which Congress passed in 1980. Howington’s lawsuit turns on how that law defines a ship. He says that Jon Maestri, an assistant U.S. attorney in New Orleans, came to the “patently incorrect” conclusion that an oil drilling support vessel from which Howington saw chemicals dumped into the Gulf is not “capable of being used as a means of transportation” so it does not meet the definition of a ship under the Act to Prevent Pollution from Ships. “In fact, the Uncle John is equipped with no less than 102 sleeping berths and transported its entire crew under its own power from Pensacola, Florida to the work site where the illegal discharge took place,” Howington said in a letter to the Department of Justice, attached to the lawsuit. Howington, an Eagle Scout, says in the lengthy complaint that on April 1, 2014 he was on the Uncle John training how to a run a remotely operated vehicle, a robot submarine used to repair drilling equipment. 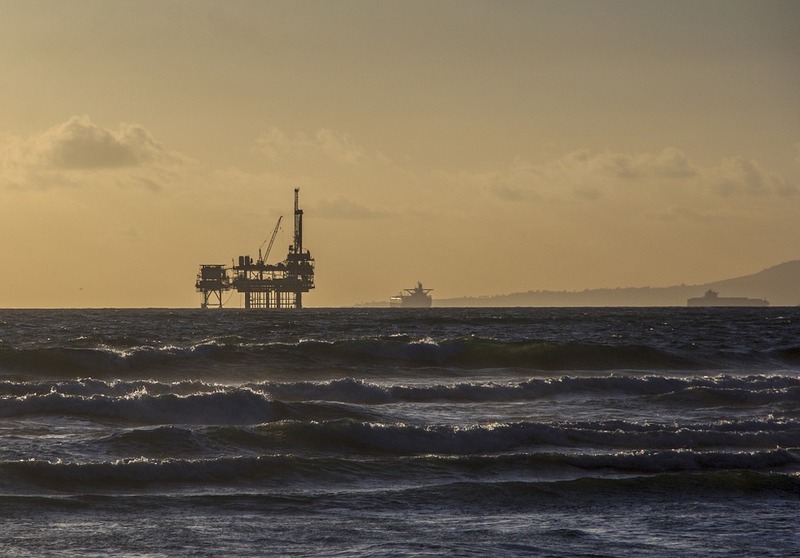 Anchored by an oil well 60 miles off the coast of Louisiana, Howington says he saw supervisors from Walter Oil & Gas Corporation, Cal-Dive International and Helix Energy Solutions order the crew to dump chemicals into the Gulf. The only defendant in the lawsuit is the United States of America. The hazardous substance, MXU 5-2684, is a mixture of isopropyl alcohol, ammonium chloride, ethylbenzene and xylene. The vessel’s crew was using it to try to clear an obstruction from a pipeline. “These three supervisors then proceeded to laugh and joke about the pollutants exiting the valve and even discussed falsifying the logs in order to hide the incident from the Coast Guard — which they ultimately did,” Howington said in the lawsuit. Howington says he recorded the incident on his cellphone and, fearing he would be prosecuted for not reporting it to regulators, met with officials from the U.S. Environmental Protection Agency, the U.S. Coast Guard, the State of Louisiana and federal prosecutors in New Orleans and turned over his evidence. With the Gulf of Mexico still recovering from the 3.2 million barrels of oil BP’s Deepwater Horizon rig dumped in 2010, Howington’s revelation rankled environmentalists who learned about the spill from an October 2016 investigation by WWL-TV, the New Orleans CBS affiliate. Howington says that after the federal prosecutor he met with left the case and assistant U.S. attorney Maestri took over, Maestri blew off his request to meet and go over the evidence. Maestri then brought charges against just one of the three polluting companies, Walter Oil & Gas, which pleaded guilty to one felony count of failing to report an incidental discharge and was fined $400,000. The Department of Justice announced that settlement in a Dec. 22, 2015 news release. Howington claims that Maestri’s decision not to prosecute Walter Oil & Gas and the two other companies for Act to Prevent Pollution from Ships violations cost the government $28 million in fines, of which the government could have awarded him up to $14 million. Howington’s attorney Tommy Servos, with Zehl & Associates in Houston, said the lawsuit is not about the money for his client. “He’s not a greedy guy; he’s literally an Eagle Scout, one of the best people I’ve met. I’ve gotten to know him very well over the past few years while representing him, and he’s a good guy. He really doesn’t care. He’s going to be fine financially if he doesn’t get anything out of it,” Servos said in an interview. “He’s worried about not only being blackballed but being physically harmed if he goes back out, because when you’re working offshore you’re out there for weeks in the middle of nowhere. God knows what could happen, especially when the people you are blowing the whistle on are potentially going to face federal criminal charges and jail time,” Servos said. Howington sued the United States for professional negligence under Louisiana law. “AUSA Jon Maestri’s negligence cost his client, the federal government of the United States of America, at least an estimated $28,000,000 dollars in fines,” according to the complaint. Servos acknowledged it will be difficult to show that Howington has standing. “Really, I just want to draw as much attention to the case as possible and Mr. Howington’s the same way,” Servos said. Assistant U.S. Attorney Peter Mansfield in New Orleans declined to comment. “I can state confidently, however, that Walter Oil pled guilty to an environmental criminal charge appropriate to the facts and evidence,” he said in a statement. Servos said the case illustrates how offshore whistleblowers can fall through regulatory cracks. “Part of the biggest problem with this case is there is really no incentive for offshore oil and gas whistleblowers to come forward. The only thing they can avoid by coming forward is potential federal criminal charges and they get protection from retaliation. Houston-based Walter Oil & Gas is one of the largest family-owned oil drilling companies in the United States.